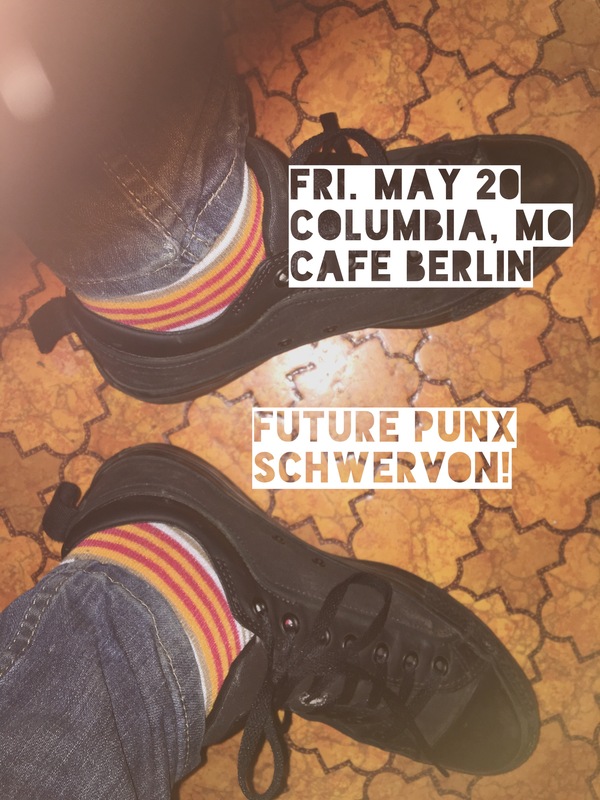 Next Show: Friday, May 20 in Columbia, MO @ Cafe Berlin w/ Future Punx | Schwervon! This entry was posted in Uncategorized and tagged cafe berlin, dance revolution, future punx, schwervon live. Bookmark the permalink.